Thomas L. McCarthy was a son, a brother, a husband and father, a mentor and guide, a grandfather and great grandfather. 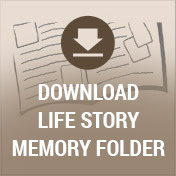 He provided for Bertha, his wife of 63 years who he loved very much, and for his family. 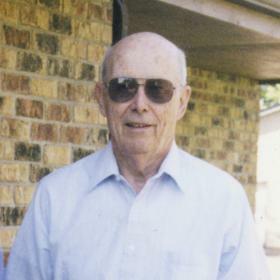 With his keen mind and skilled hands he taught his children how to analyze and solve problems. Tom was a kind man who seldom had a cross word for anyone. Those who knew him could tell he was proud of his family and loved each and every member. 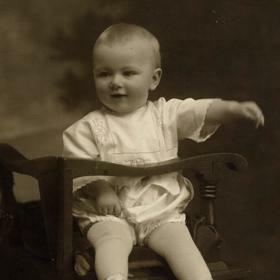 Tom was born in the small town of Chisholm Minnesota on April 15, 1921 to Thomas and Stella (Qually) McCarthy. Tom’s father was a steam shovel engineer for the Shenango Mining Company, and his mother was a school teacher. Tom was very close to his older sister, Mary, who married Tom’s childhood friend Ralph Baker. Mary became a librarian at 3M in the Twin Cities of Minnesota, where she resided until her recent passing at the age of 97. Summers in Minnesota meant swimming and fishing at the many local lakes, staying at either the family cabin or that of family friends. Winter is a big part of growing up in northern Minnesota, and Tom loved winter sports, hockey in particular. Tom’s family loved dogs, so that while growing up his family always had a dog that they named Darby. There were 3 Darbys in all, but Tom’s favorite was the third one, a beautiful all white collie that always kept him company.  When Tom was just in his mid-teens he learned life’s responsibilities early after his father suffered a debilitating accident at work and the resulting health impairments. Soon Tom learned to drive in order to take his father to the town doctor (Doc Graham, of “Field of Dreams” fame), to visit friends and to run family errands. 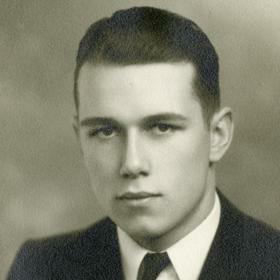 Tom attended Chisholm public schools, where in high school in 1938 his buddy Ralph Baker suggested he invite a beautiful young classmate named Bertha Lukone to a dance. They began dating, and before long they were high school and lifelong sweethearts. After Bertha graduated she headed off to the University of Minnesota in Minneapolis, where she began studying to become a public health registered nurse. Tom attended junior college at Hibbing for two years prior to transferring to the University of Minnesota where he earned his bachelor’s degree in mechanical engineering. Tom and Bertha continued dating, and while at the University of Minnesota Tom bussed tables in the Nursing School dining room so that he could see Bertha at meal time, since her nursing training left her little free time. Tom and Bertha both graduated from the University of Minnesota in 1944. Bertha then took a job as a school nurse in Two Harbors, Minnesota, on the shores of Lake Superior. Tom began working for the Detroit Diesel division of General Motors in Detroit where he spent his entire working career of 34 plus years. After only one year at Detroit Diesel, Tom answered Uncle Sam's call and joined the Navy. With his engineering experience, he was sent to the Naval Academy at Annapolis and after four months was commissioned as an ensign. At the start of 1945, as the WWII was entering its final push, Tom was preparing to ship out overseas. So Bertha traveled to Virginia Beach, Virginia, where she married Tom on February 15, 1945, at the priest's rectory. 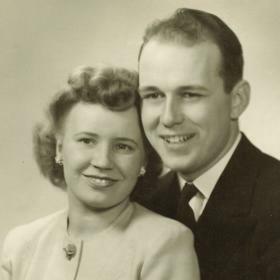 They had a brief honeymoon in Pittsburgh before Tom shipped out, and Bertha returned to Two Harbors where she awaited Tom's safe return in 1947. The ship Tom was on spent time in the Philippines and made a brief stop in Nagasaki, shortly after the atomic bomb had been dropped. Tom stayed in the reserves until 1954, where his last appointment was Lieutenant JG. After WWII, Tom and Bertha moved to Michigan where Tom’s job at Detroit Diesel was waiting for him. They soon purchased a home in Dearborn where they raised their five children, Kathleen, Mary, Patricia, Thomas Jr. and C. David. Tom and Bertha felt very strongly about the importance of a good education, and even though Dearborn had a fine public school system, all five children attended the parochial school, Divine Child, through at least grade school. Tom and Bertha taught their kids to learn and achieve for themselves, and not for anyone else. This self-motivation propelled all five children to do their best in school and in their future endeavors. Family car trips were important to Tom, Bertha and the kids. Every summer meant visiting family and friends in Minnesota, Georgia, Colorado, or Canada. Other trips brought them to the east coast to see Bar Harbor Maine, Boston Massachusetts and Niagara Falls. The family loved to sing silly songs in the car, count license plates from different states, and play car games like “ICUC”. Camping with a tent trailer was a favorite way to accommodate the large family on long trips. It was a great way to get close to nature, something both Tom and Bertha loved, without getting too wet when it rained. Growing up in northern Minnesota taught Tom the importance of winter driving skills. Tom was patient enough to teach all his children how to drive, in good weather and bad, and even taught them how to control a spin on a snow covered surface by practicing in an empty snowy parking lot. While raising his family in Dearborn Tom’s younger son David played on a traveling hockey team that took dad and son all over Michigan, Ohio and Ontario Canada. It also gave Tom a chance to coach and referee junior hockey which he enjoyed very much. In 1976 Tom and Bertha both retired at the ripe old age of 56. They moved to Traverse City and like many retirees they began to travel. They crisscrossed the country, visiting 49 states, including Alaska and Hawaii. They also loved the great outdoors, and went on long hikes through the woods or on the beach, or cross-country skiing in the wintertime. They both loved those times full of peace and tranquility together as husband and wife and best friends. Early retirement also meant extra times with the grandchildren whom they loved very much. They passed along to them their love of vegetable gardening, fishing, and of course eating grandma’s home baked goods. 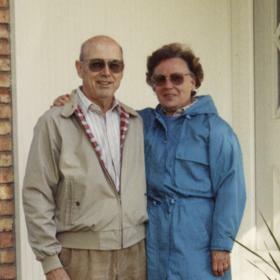 Bertha and Tom moved to Freedom Village in Holland in 1995, where they embraced their new community and became members of the Our Lady of the Lake Catholic Church. Bertha passed away on Tuesday, October 14, 2008, a month shy of her 87th birthday. Tom passed away on Wednesday, September 6, 2017 at 96. Tom is survived by his children - Kathleen and Lee Schutzman of St. Augustine, FL, Mary and Bill Pine of Plymouth, MI, Patricia McCarthy of St. Johns, MI, Tom McCarthy of Cheshire, CT, and David McCarthy and Patsy Lawton of Vienna, VA, 11 grandchildren and 20 great grandchildren, nephews, nieces, cousins and an uncountable number of good friends. Memorial services will be 11 am Thursday (October 12), at Our Lady of the Lake Catholic Church, 480 152nd Avenue, with Father Michael Cilibraise officiating. Visitation will follow the services. Memorial contributions may be made to Our Lady of the Lake Catholic Church Memorial Fund, Hospice of Holland, or the Freedom Village Scholarship Fund.